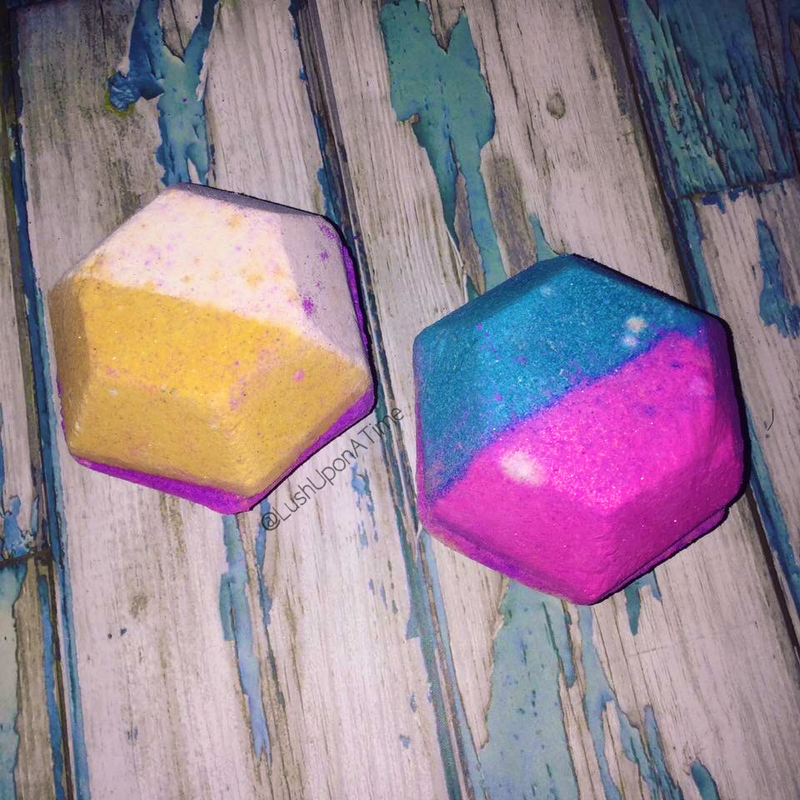 As far as I am aware The Experimenter (apart from the Magic bath bomb) is the only other hexagonal shaped bath bomb ever created by Lush. It was originally released and presented as an Oxford Street exclusive at the opening of Lush’s new flagship store in 2015. Demand for this colourful bath bomb grew at an unbelievable rate and they are now available both online and in all Lush stores. Sporting an array of 5 colours The Experimenter is an eye-catcher and a half. For the plainer coloured bath bombs I always tend to write in my reviews that they get overlooked because of other, more colourful bath bombs. 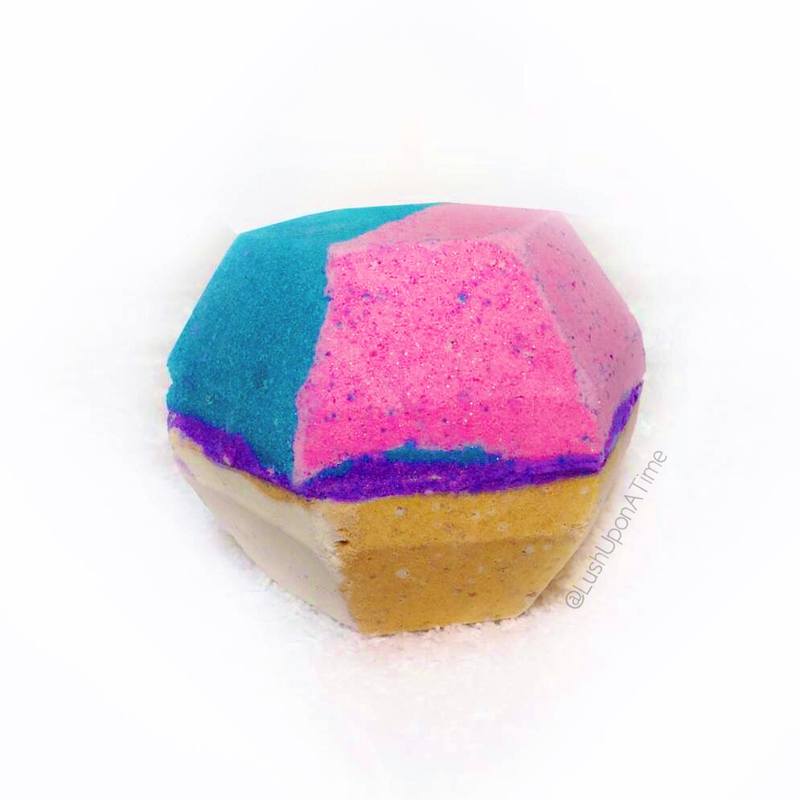 The Experimenter is one of those bath bombs and is simply impossible to ignore. 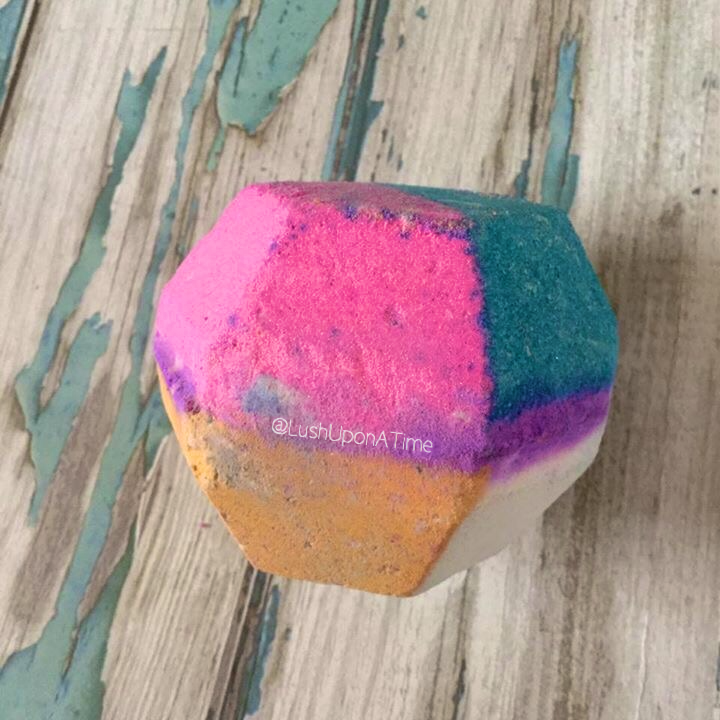 All of the Experimenter bath bombs are of an hexagonal prism shape, this makes it exclusive to any other Lush bath bomb currently available in Lush’s all-year-through product line. 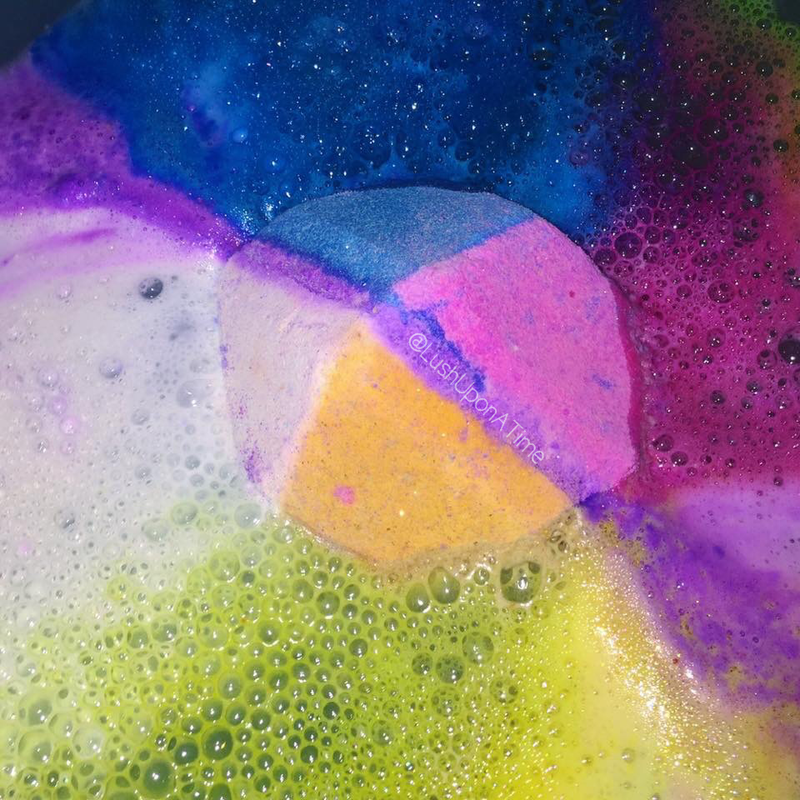 The Experimenter’s shape although a little more complicated than the standard Lush bath bomb has made it possible for it to have its own symmetrically-perfect design. It is divided into 4 equal pieces, each of the pieces being a different colour; Pink, blue, goldy-orange and ivory. Above I have shared a photograph I took of 2 Experimenters next to each other so that you can see all of their colours. The 4 colours are then lined with what I could only describe as a purple belt. In regards to the Experimenter’s scent, when I finally got my hands on one I wasn’t at all keen. I can remember sniffing it for the first time sat on my living room floor, I was a little disappointed. 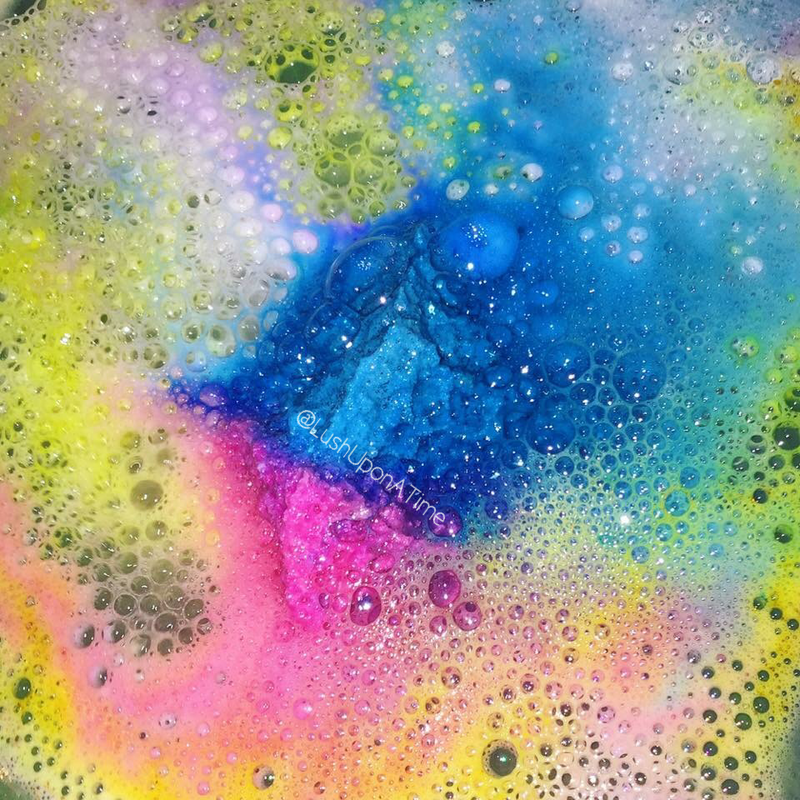 The Experimenter bath bomb has a very musky and smoky aroma. My first one was posted up to me from Oxford Street and it totally dominated the other bath bombs that were in the same package. Looking at its colours I however decided that I would still give it a go. After all, I do find that a lot of the scents that Lush create take a while to get used to. A great example of a bath bomb’s scent that grew on me is Frozen. I left writing the review of the Experimenter bath bomb for over a year, I wanted to get a proper feel of it and I personally do really like it. Performance-wise, to me it is what Lush is all about. I however know that a lot of people are disappointed by the end result. Once all the bath bomb has fizzled away it leaves your bath water a dark and regrettably dirty brownish-grey. I’m not quite sure what the people that are disappointed expected the end result to be as all of those colours mixed together can only end in one way, murky. When people point it out I like to compare the water you’re left with to an artist’s paint pallet and brush water after the masterpiece has been completed. Think Vincent Van Gogh or Paul Klee! This sometimes wins people around but I understand why the Experimenter bath bomb wouldn’t appeal to some.